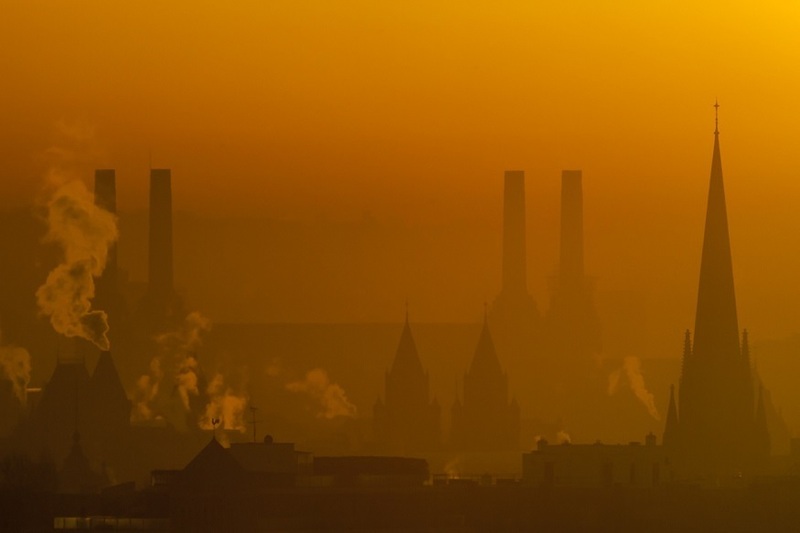 January 2012: Zooming in towards Battersea Power Station at sunrise, all the way from Notting Hill. Note also the towers of the Natural History Museum in front of Battersea. Photographer James Burns specialises in shots of the capital taken from high vantage points. 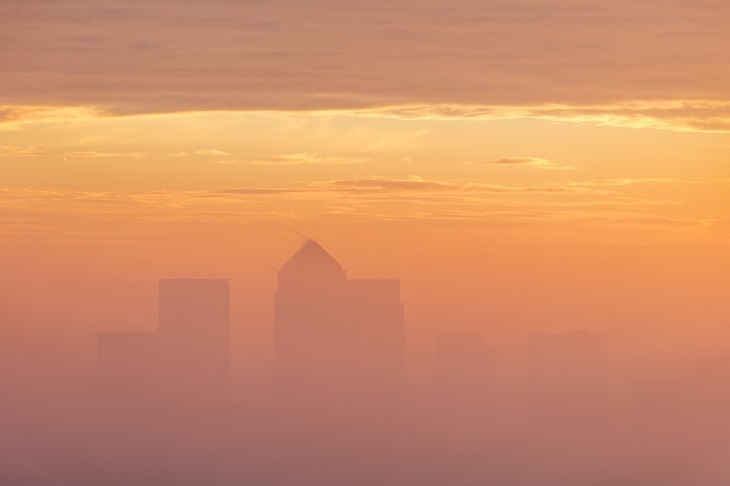 Here he selects 12 of his favourite images showing London in the fog. You can view more of James's work on his website London From The Rooftops. 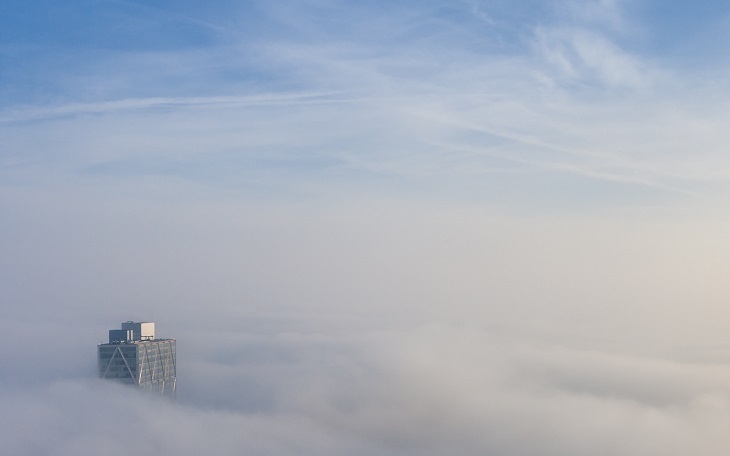 Above the fog at Tower 42 in March 2014, looking over the road to the Heron Tower. 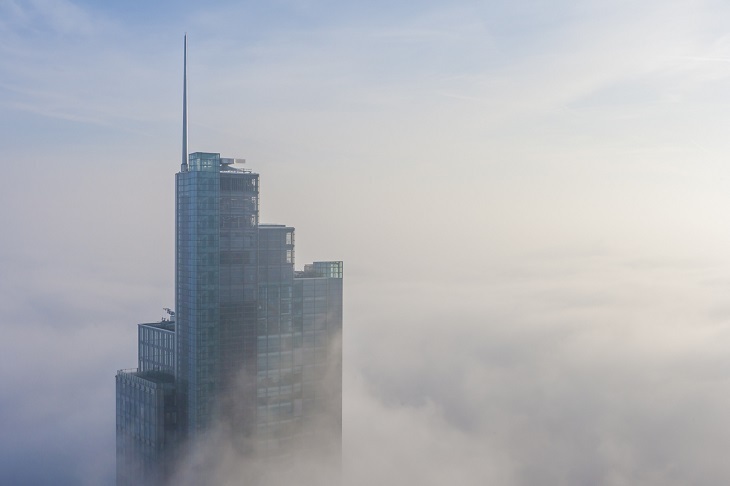 Above the fog at Tower 42 in March 2014. The Broadgate Tower popped its head over the parapet very briefly before being swallowed up again by the undulating fog. 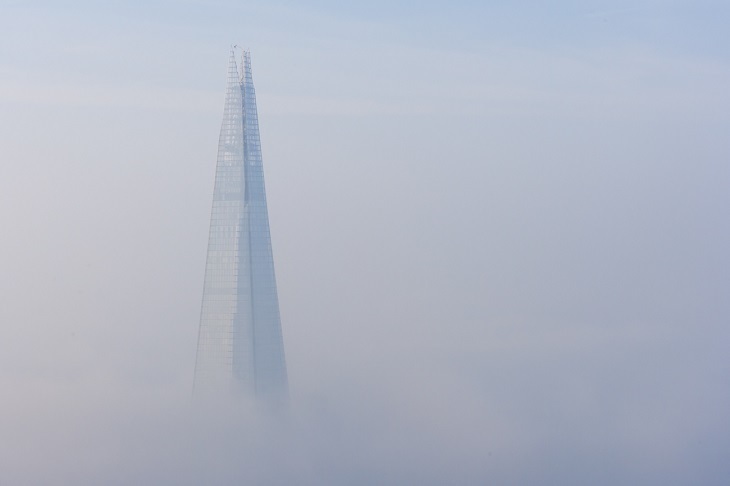 Above the fog at Tower 42 in March 2014. The Shard cuts through the fog like a shark's fin through shallow water. Such a pleasing juxtaposition of soft and sharp. March 2014, brutalist mist. 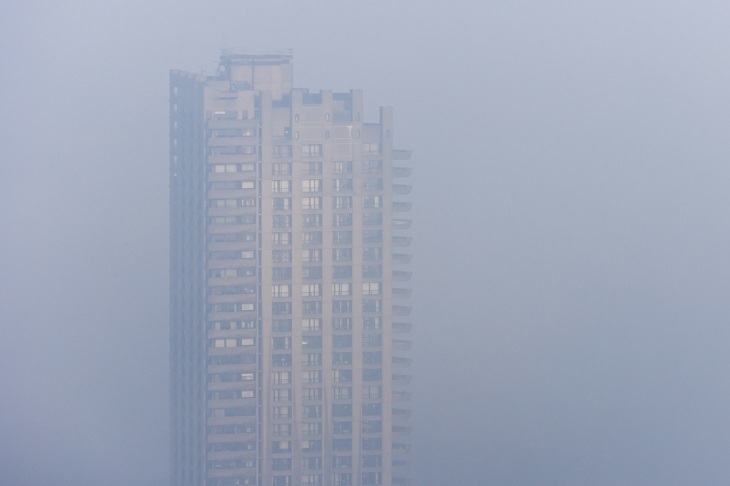 One of the three Barbican towers stands eerily alone in the fog. Early December 2016 and I was hoping for a thicker fog but the combination of sunrise colours and mist was unbelievably beautiful that morning. 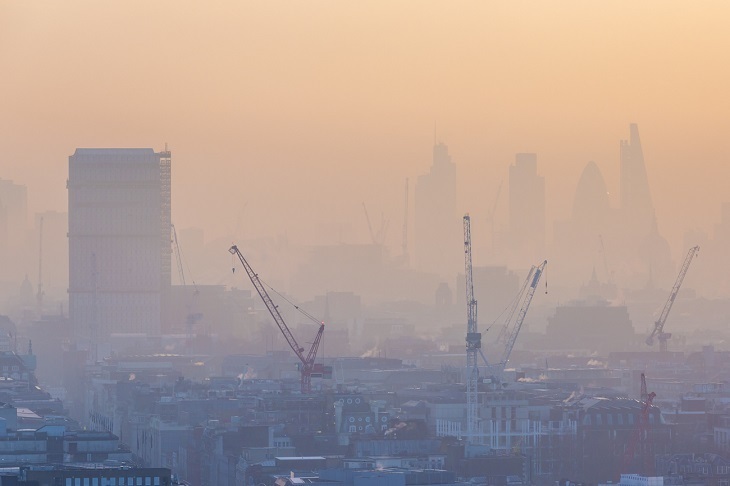 March 2016, overlooking Oxford Street and the West End at sunrise from the now demolished Marble Arch Tower. Late December 2016. The day after the most wonderful day of fog. 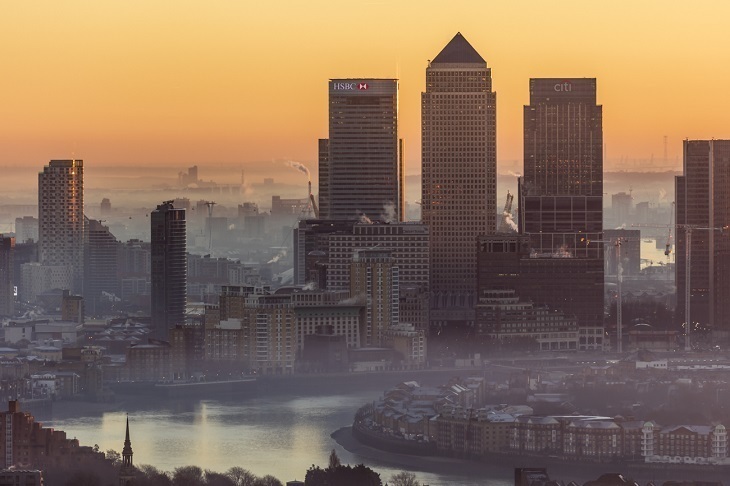 It didn't quite work out for me but I was out the next morning for this sunrise shot of Canary Wharf from the Sky Garden. February 2016. 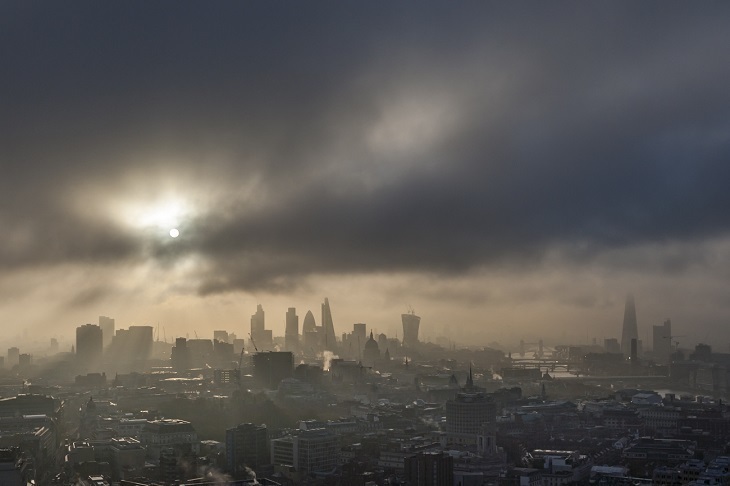 A beautiful still and misty sunrise over The City and Canary Wharf as seen from the BT Tower. April 2014. A very odd morning of weather this was. 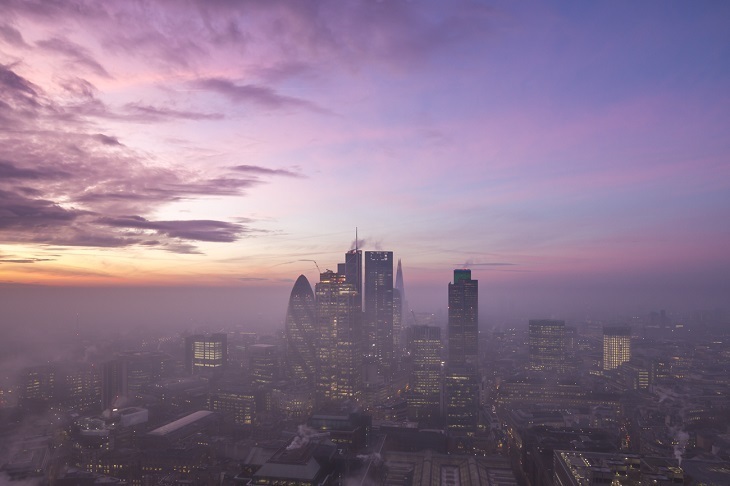 I was happily shooting the sunrise from Centre Point when a patch of fog rolled in and whited out everything. As the sun began to burn it off, it created this brief apocalyptic scene. November 2016. I'm sure Nelson has navigated through murkier scenes. December 2016. 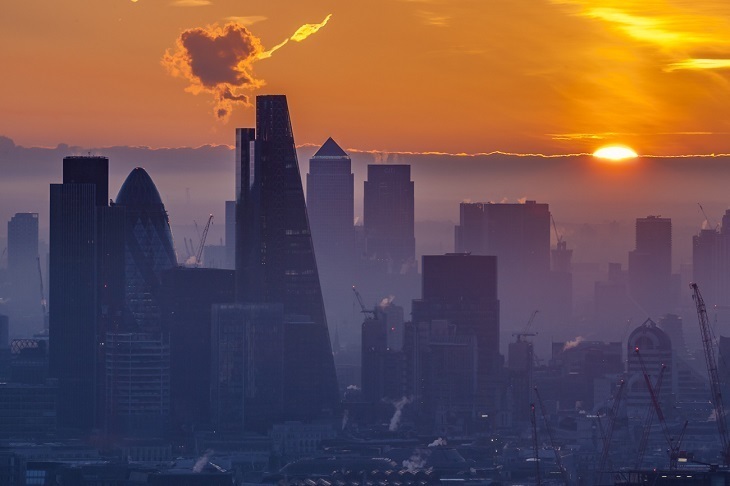 This looks like it was photoshopped but, believe me, as I zoomed from the Broadgate Tower, all you could see was the faint outline of Canary Wharf shrouded in the colours of the rising sun. 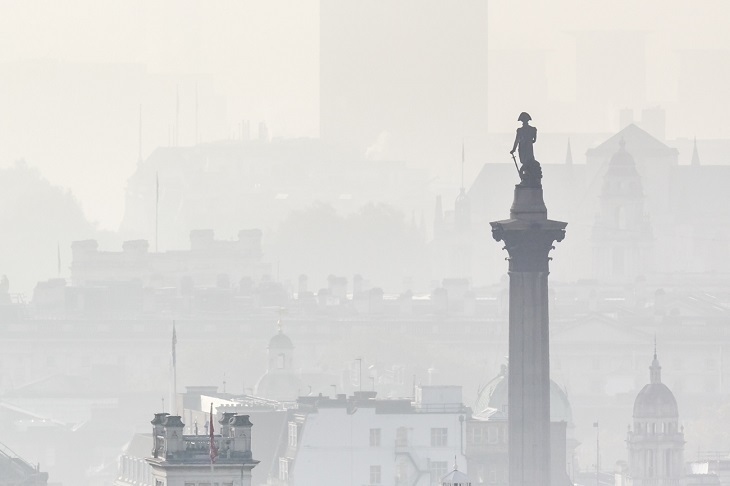 All images copyright James Burns and London From The Rooftops. We previously explored James's photographs of the moon and sun against the skyline. Follow James on Twitter and Instagram.